National Mosque Open Day is on Saturday, October 29. Islamic places of worship around Australian invite their community to discover more about Muslims, what they believe and who they are. The Open Day is part of the annual Unity Week celebrations, which encourage Australians to host interfaith or intercultural events. Many Australians would not have set foot in a mosque or, possibly, got to know a Muslim. From news headlines to terrorism-related events, the negative light in which the Islamic faith can be painted often sparks negative or hostile reactions. But one Christian minister in Sydney believes we should visit a mosque, to help break down prejudice, animosity and fear. Brett Hall is an Anglican minister from suburban south-western Sydney. During the past five years, he has developed a friendship with Abdul Salie, president of Minto Mosque in Sydney. Several years ago, Brett wanted to learn more about Islam. “I just turned up and said, ‘Look, I’m a Christian minister. I want to understand more about the differences between Christianity and Islam. Who do I talk to?” recalls Brett about his first visit to Minto Mosque. He was introduced to Abdul and they have become mates. 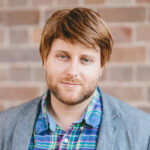 While Brett initially found the experience of visiting a mosque to be “strange”, he is enthusiastic about the difference it can make to the fear factor within many Australians. “It’s very easy to fear the unknown but it’s a lot harder to fear the things you are familiar and comfortable with,” says Brett.